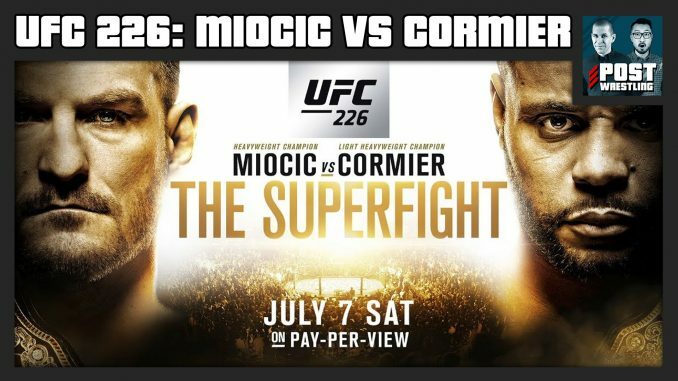 John Pollock is joined by Phil Chertok & Ziggy Cao to review UFC 226 and run through the entire card. They discuss Daniel Cormier’s championship victory over Stipe Miocic to become a two-division champion and then shot an angle with Brock Lesnar after the fight. We will discuss Lesnar’s involvement on this show and the challenge made to Daniel Cormier after the main event, plus one of the worst fights of all-time between Derrick Lewis and Francis Ngannou, the return of Anthony Pettis, a war between Mike Perry and Paul Felder and tons more. *Gokhan Saki vs. Khalil Rountree, Jr.